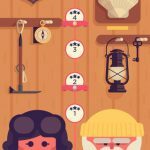 Following the previous success of Dots, developer PlayDots recently launched TwoDots for Android and iOS, which puts you in control of “two brave dots,” as you go through different settings, including jungles, oceans, and even the Arctic tundra. Yes, that’s how the game is described, even if, on the surface, your goal is to connect dots of the same color. It’s a free-to-play title (albeit with in-app purchases supported), and you’ll get to connect one dot to another to do a multitude of tasks, over 135 different levels. You can also play TwoDots with your Facebook friends and earn in-game prizes. 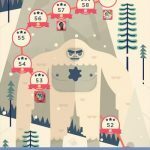 It’s one of those simple, casual titles that can get addictive really quick, and we’ve got a TwoDots walkthrough and some tips that may help you through the game’s first five levels. 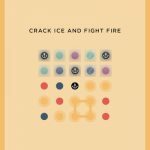 The first level, like most any other first level in a mobile game, will be your equivalent of riding a bike on trainer wheels – this is where you try to get the hang of things and get yourself familiarized with TwoDots. Generally speaking, one of the most common-sense tricks is to create squares, so you can gather all dots of one color from the board and easily knock things down to two colors. This also makes it easier for you to accomplish the goal with the least moves possible. While not as simple as Level 1, Level 2 is still fairly easy, even for beginners. Again, you want to go for big combinations, if not an exact square, which should help you conserve on your moves. But since you’ve got a good 30 moves to use, you may also use your spare moves to experiment and get yourself ready for higher levels. This is where things get more interesting, and where moves become more important. You’ll still be focusing on creating a square, though it may take some patience and once you see the opportunity, you’ll have to snap it up right away. That said, the opportunities to create squares are plentiful, even if you’ll only have so few moves to collect so many dots. Though you will, once again, be putting a lot of focus on creating squares, you may also want to try creating rectangles, as the dots are now arranged in a rectangular setup. This should minimize the number of moves you’ll need to complete the level, and give you more points. While the board, which consists of three separate rectangular areas, may appear daunting, you should still be able to find some large combos and opportunities to create squares or rectangles. Long combinations should also be helpful if you can’t find any squares to work with.